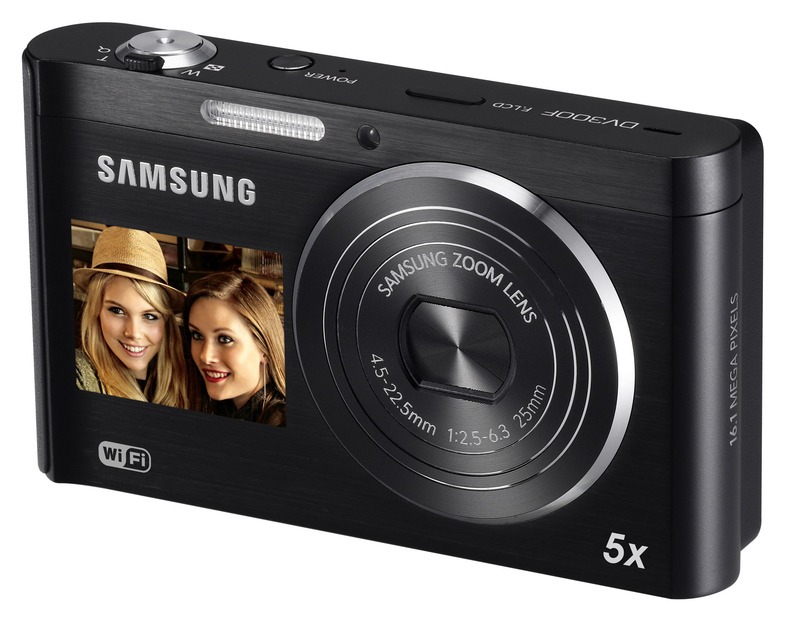 Pre-CES 2012: Samsung has announced the DV300F, a Wi-Fi compatible compact camera with its twin LCD 'DualView' feature. The DV300F has a 5x, 25-125mm equiv, F2.5-6.3 stabilized zoom lens and a 16MP CCD sensor. It also features a 1.5" LCD on its front plate to allow easy self-portraits. Its stand-out feature, though, is its Wi-Fi capability, that allows it to be remotely controlled from an Android smartphone (an iOS version is being developed). It can also automatically backup your images to your home computer via a Wi-Fi network, every time you walk into the house, or to a 'cloud' service such as Microsoft's SkyDrive or Samsung's All Share Play, avoiding the need to remove the camera's MicroSD card. The DV300F also includes a 'log-on browser' that allows its use with public WiFi hotspots that require you to log in. Ridgefield Park, NJ – January 2, 2012 – Samsung Electronics Co., Ltd, a global leader in digital media and digital convergence technologies today unveiled a new addition to its market-leading Samsung DualView® line, the DV300F. With this launch, Samsung continues to cement its leadership position by introducing the latest in Dual LCD technology with Wi-Fi connectivity for camera users who want to snap and share moments in an instant. The Samsung DV300F builds on the success of Samsung’s DualView technology with a 1.5” front facing LCD screen that helps ensure users are capturing the most challenging shots. Child Mode displays an animation to keep little ones focused, and the visual Self Timer makes it easy to put oneself in the picture. In response to evolving consumer demands for maximum creativity and shareability, the DV300F is the first DualView model to offer Wi-Fi connectivity. 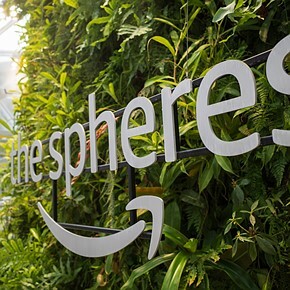 The camera’s built-in Wi-Fi connectivity enables users to email their images or upload them to social media sites including Facebook, Picasa, Flickr and YouTube. In addition, images saved onto the camera’s microSD memory card, can be saved to a home PC without wires, by using the Auto PC Backup function. Cloud services, including Samsung’s AllShare Play and Microsoft SkyDrive, allows users to store and share their precious pictures from anywhere. For consumers on the lookout for sophisticated design and premium quality, the latest model comes in several shimmering metallic colors, including mock black, silver, navy and red. The new DualView camera features a sleek, seamless, and rounded form factor for ultimate style without compromising ease of use and image quality. The DV300F boasts an impressive 16 Megapixels, 5x optical zoom and 25mm wide-angle lens to capture all the action, even from a distance. The DV300F is crammed full of fun features to maximize users’ enjoyment. The Magic Frame feature includes 12 fun background templates, as well as the ability to create poster-quality art, perfect for sharing or hanging. The camera’s Picture-in-Picture function lets users insert one image within another. Users can even impress their friends by combining a still picture with a video clip and instantly uploading it to YouTube or other social networking sites. With the Split Shot feature, users can merge up to three different images to create their very own artistic masterpiece! Pictures can even be imported from other cameras. However, the fun doesn’t stop there. Funny Face allows photographers to add goofy grins, comical noses or even crazy eyes to shots of friends and family in eight different modes. The innovative new Artistic Brush feature can instantly take a portrait, landscape shot or even a movie clip and transform it into a black and white or full color sketch just like an artist would! Users can then show off their artistic creation via the camera’s LCD, or by simply uploading their creation to social networking sites to ensure everyone look at their creative masterpiece or potentially, their latest profile picture -- with a twist. Finally, the model includes the new Motion Photo feature. Similar to the latest Hollywood blockbuster, users can freeze time around a moving subject for dramatic effect. Now, users can capture a friend jumping in the park and keep everyone else around them still. Not like Nikon will figure out wifi the next decade. Digital watch sales took a big knock from mobile phones in Japan, many people do not own a watch now. P&S cameras look like going the same way. These latest iterations may be clever but I don't think they will stop the slide. People just don't want to go out with a bag full of electronic devices when smart phones can perform most of their requirements. I think it is called convergence. Ha! My old dumb phone displayed the timeall the time, but my new smart' phone goes into power saving mode and shuts off the display! I have top touch the power button to see the time! I've started wearing a watch again because it's always there, always on and I don't have to put things down or take off my gloves to activate it. But I agree, people don't want to be carrying around a bag full of gadgets that do the same thing. I asked a bunch of teenage girls if they would like one of those cameras and they said no..they already have smart phones and it;s already enough carrying one around and keeping an eye on it and protecting it...they don't want another gadget to potentially get lost, stolen or broken or just another thing to clutter up their handbag. I'm the opposite...i now have a smart phone, a watch and a DSLR camera with me at all times. There's a difference between something that does everything and things that do fewer things but do them well. It's about time with the wi-fi and email capabilities. Any company wanting to extend the life of the P&S market would do well to include this functionality in future cams. I use my phone cam often precisely to be able to quickly share pics with friends and family, but I hold no illusion that it's got great, or even good, image quality (passable is a good way to describe it in the best of situations). Most times, I have my Panasonic ZS-6 with me at the same time, and i'm often even taking the same picture twice, once for the "real thing" and once to upload to FB or send to a family member. Perhaps 80% of the social photography consists of shots exactly like the sample provided. The key problem is how to hold the camera without covering the front view LCD. If it wobbles in your fingers, the results are rather hit and miss. Often an arm, finger, or elbow appears in the picture. Well, it was about freaking time! What a bunch of ignorants around here. This camera will surely be really successful in Asia, where it is a part of general behavior to take pictures of yourself. As I live in Korea, I have many friends, especially women, who bought some Canon bridge camera only because the screen could tilt enough to make self portraiture of themselves (with or without friends) easier. Not to understand how other customers can behave, depending on their culture, do not make this camera's feature something useless. I agree with you about the view " where it is a part of general behavior to take pictures of yourself". 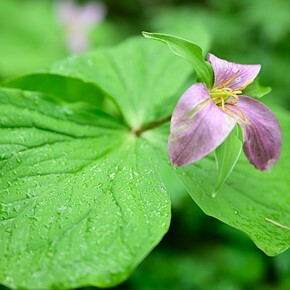 In China, I can find the fact among my parents and friends as well. Indeed, differences between cultures vary a lot, and we'd better not to say something like "a bunch of ignorants" for the same reason as you came up with. This is not something that is unique to Korea or China, I see this all around me in America. It seems that the youngsters are pointing their camera's at themselves more than anything else and they change their facebook profile picture practically every day. But I'm afraid this social netoworking has made teens very self centered. They aren't photographers interested in taking good pictures, it's just a new part of the teenage social culture. When I was a teen I shot at least one roll of 35mm film everyday, yet I hardly ever pointed the camera at myself. This habit of taking pictures of themselves comes from the technology and the culture of online social netwrking and is not unique to Asian or any othe culture. I've seen the same thing going on in Africa, the middle east, Russia, Europe....pretty much everywhere. The people who comment are not a bunch of ignorants, rather they are serious photographers who find this sort of thing to be frivolous and silly. To my point of view, P&S can still survive in many years. We always uptight about smartphones for their increasing high-quality features in photographing. 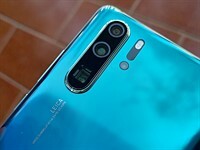 Nonetheless, I think those smartphone makers won't concentrate on improving their products' lenses or other features to exceed P&S, because what customers prefer is their wonderful performance in connectivity and apps. If one want to photograph seriously, I bet he will buy a camera rather than a smartphone. meh. i'm waiting for triple-view. I sometimes wonder why the camera makers don't fight back by making Nikon Coolpix, or Panasonic Lumix, or Canon PowerShot smartphones. Imagine a very good phone that just happened to have photographic ability just short of a Canon S95. But if they don't do something like this, and camera phones keep improving, then it is fairly certain that the P&S market will eventually disappear. The enthusiast market will save P&Ss. 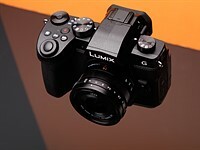 Most P&Ss were considered snapshot cameras before the Panasonic LX3. Suddenly, pros and enthusiasts scooped it up and created long backorder lists, even at $400-500. Why? Because somebody finally made a P&S with a fast lens, full manual controls, raw mode, and lots of customizability, in a size you could start to think about pocketing (unlike the Canon G series). After the success of the LX3, Canon brought out the S90 with LX3-like features. Once those two got going, everybody else jumped in with the Samsung EX-1, the Olympus XZ-1, etc. all with raw, manual, and fast lenses. 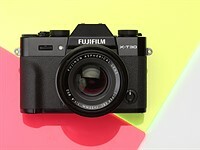 The Fuji X series is also a hot seller with those features plus retro handling. 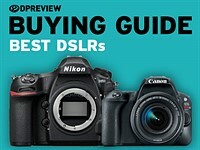 While the cameraphone market will probably kill off the casual P&S, enthusiast P&Ss should thrive because their level of control and performance, in your pocket, can't be equalled by full DSLRs, micro 4/3, or phone cameras. It is a safe category as long as people want compact high performance. I forgot to add that there is one more reason camera companies don't want to get into smartphones: They will have to deal with the carriers. Too bad you can't make phone calls with this device. But seriously I think the WiFi is an interesting feature. Connectivity is hot. Maybe they should have added GPS to make the camera more attractive. This camera might come in handy for people who are posting youtube videos of themselves. And for the mentioned facebook users who like to shoot self portraits. i hardly think that it's a vanity camera. sure, plenty of truly vain people will love it, but those people are already using the whole phone+mirror shot, or they've learned how to aim when extending their arm. video bloggers, bloggers, families, and friends all have reasons to want a front facing LCD without necessarily having to be vain about it. just cause you're in a photo doesn't mean you're doing it for attention and good attention. It's a practical camera. After all, if technology exists for any reason at all, shouldn't it at least be allowed to remove the need to blindly aim the camera at oneself when you want a photo of yourself somewhere? Instead of depending on people being around, or hoping the people who are around wouldn't be tempted to run off with the camera? I agree with you two. A fully articulated screen is very handy, but this is as good as it could get in a compact (possibly hologram screens in the future). My issue with these type of cameras is that they try to keep themselves in the game by offering smartphone-like features. But to me, all that does is make me realize how outmoded point and shoots are. Fun features and filters? Smartphones have the entire android market for apps. Image quality? Higher end smartphones these days easily match any non-high end compact. Screen? Smartphones have much better touch capability and often more beautiful screens. Hardware? Smartphones process things arguably more faster in general. Some phones even have optical zoom these days, no shutter lag, and fast lenses. All point and shoots need to either offer significantly better IQ to justify carrying them around (probably by making all of them with bigger sensors, not just the high end ones, and by offering lens features like a lot of optical zoom via compact travelzooms or really fast apertures). They also need to get slimmer to stay on par with smartphones. Honestly, I also think the camera industry needs an android or apple market equivalent. Apps to customize your menus, your user interface, your button customization, your noise reduction, color settings, get rid of things you don't need so your menus are cleaner, etc. etc. Some may say that's too advanced, but people are doing it with smartphones and facebook with free websites online. 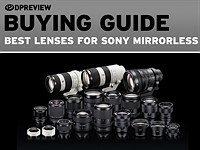 A market would be particularly helpful for the interchangeable lens crowd, people who would fully utilize such things. The problem with my iPhone 4, and maybe other camera phones are better in this respect, is that the shutter lag makes it worthless for anything other than a posed shot. There may be better camera phones out there, but in my opinion the iPhone 4/4s is the best Smartphone out there. And while it is fun to be able to apply some creative filters and upload to Facebook moments after taking a photo, for anything requiring better image quality, a more responsive camera, or manual control I will use my Panasonic GF1. It is always with me. But most people don't care much about image quality, and they are okay with missing some shots as long as they can quickly share they ones they do capture. I don't know many people who use both a Smartphone AND a compact P&S camera these days. 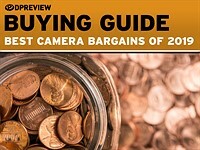 Maybe a Smartphone AND a high-end compact, mirrorless, or DSLR. Personally, I think it's pretty darn cool ...but will it blend? I don't know about the IQ of this camera but the front LCD would have come in handy on my S100 a few days ago. I was at the Dayton art museum and there is this sculpture in front of the main entrance. I was trying to get as low to the ground as I could and shoot upwards. If I would have been armed with my G11 with its wonderful articulated display, the shot would have been easy. I didn't want to lay on the wet ground so I had to shoot it much higher than I wanted. It would be good for high shots also. No detailed specs it seems-and while it's very slow at the telephoto end, F2.5 at the wide end seems OK to me. LOL. Samsung is turning into a joke with these cameras for teenage girls. Teenage girls buy stuff and take lots of social pictures. Samsung, maker of the Galaxy phones and tabs, is smarter than you or me. This is like 10th camera from Samsung with front side LCD and still there are some surprised comments. I guess it is the Wi-Fi innovation that makes this camera interesting. Coming soon: A dSLR with WiFi and Fn buttons that can be configured to post snotty comments on camera sites! This camera will feature facial recognition blocking to prevent accidental sharing of their own facial image since the typical user probably doesn't have any friends to share anything with anyway! "crammed full of fun features ..."
From what I've seen, most P&S users just know how to turn on the cam and push the release button. The ultimate gift for the narcissist. Seriously folks, if you are taking that many self portraits, you may wan to get some help. From a technical perspective, the only thing more irritating than a camera without a view finder is ... something like this. The first thing I teach young enthusiasts is to know which end of the camera has the lens and which has the viewfinder and which way they should be pointed. While there are a few artists that have made a name for themselves by doing self portraits, generally speaking, whether one is a fine artist or just a rank amateur, the best photography happens when the photographer points the lens away from themself! Yes, I know that cameras like these are intended for teens and youngsters who are only interested in posting pictures of themselves on facebook. They can get satisfactory results with their smart phones, they don't really need a camera specially designed for the purpose. 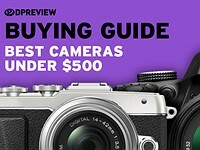 The camera companies are trying to hang onto the point and shoot market that is losing ground to smart phones by cramming them full of gimmicky functions. 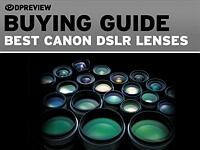 As a result point and shoots have become too complicated for the market they are intended for. Spot on! One could just as easily stick a mirror on the camera side of their smart phone. Even an ancient Nokia my dad had came with a mirror. But only 5x5mm, what a pity! I see a market for reflective phone cases. 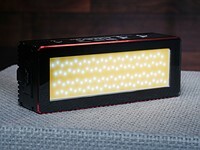 An LCD can "light up" a dark shot better than a mirror, unless there is a frontal LED. 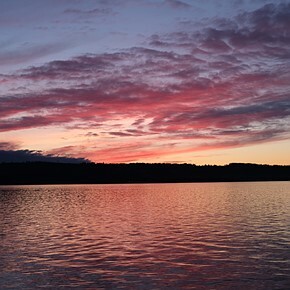 Most of these pictures are taken at night or in dark places. Finally a company that understands why cell phones are replacing pocket snapshooters. Connectivity. But the kind of person this sort of 'innovation' is intended for is the person who already has a cell phone with a camera...they don't really want to carry around another device that duplicates what they can already do with their smart phone. Since Samsung is already well entrenched in the smart phone market, they don't really need to create a new product to capture that market segment. But I could see Nikon or Canon doing this. Eventually there will be a merging of smart phone and point and shoot technology. Samsung is well positioned to lead that segment but other phone and camera companies will have to acquire new technologies. These hybrid point and shoots are of little use to most of us. When most of us have cell phones that can do more than these kinds of cameras could and DSLRs and ILCs that have image quality and finctions far beyond what can be crammed into a point and shoot, these kinds of cameras are redundant. The Sony Cyber-shot DSC-HX9V compact P&S with 24 – 384 mm (FF eqiv) 16× & Optical SteadyShot with Active Mode shoots 1080p60 video and no DLSR or smartphone could do that yet. No one else? You've not seen that Nokia has been making cell phones with REAL cameras, not cheap lens and sensor assemblies? Look at the Nokia N8. It's still tops for cell phone cams and kills most compacts out there. Sorry, replied to wrong comment. Put wifi/bluetooth remote control from tablet to mirrorless, and I will buy it. 1) open API, to be able to control/trigger multiple installed cameras. how should I hold the camera? I hope they implement wifi on the NX20. That would have so many practical implications that would make the camera so much more useful than just a piece of equipment by itself. I think that this is a preamble to the next wave in capturing systems. As an enthusiast I would welcome the ability to auto connect to my home server and download the images—without pulling out the card and inserting it into a card reader. The ability to control the system via wifi using a mobile device would also bring benefits. Maybe Samsung is using the compact as a training ground.